Kickstarting discussions about race in fashion, theatrically hobbling down the runway, and getting a break in modelling aged 27 while studying for an MBA in India – at the AW15 shows, a whole new class of models took centre stage. As for designers, casting proved key to pushing their visions to new, unexpected heights as they played with our assumptions about the women who represented their houses. Wondering who’s about to make it big? We’ve revisited the runways, stalked the social media accounts, and handpicked the models you need to know now. Having just finished off her second full season, the 22-year-old Polish model has walked for names including Christopher Kane, Versace, Chloé and Chanel. After her appearance on the runway for Frida Giannini’s final Gucci collection, Pajak is now the face of the Gucci resort 2015 campaign, shot by Mert & Marcus. Theatrically staggering down the catwalk in neon make-up by Pat McGrath at Galliano's ready-to-wear debut for Maison Margiela. Flaunting her travels with a snap of her notebook plastered in plane stickers. The 19-year-old – who hails from Santo Domingo in the Dominican Republic – became one of the most talked-about new faces this season after the Spanish-speaking model walked for the likes of Prada, Miu Miu, Louis Vuitton, Balenciaga and Stella McCartney. 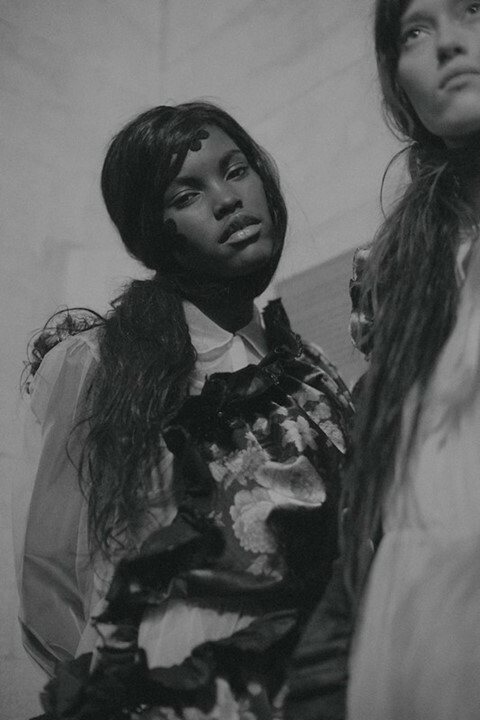 First appearing on the runway at Prada after casting director Ashley Brokaw introduced her to Miuccia Prada – igniting discussions on the absence of natural afro hair on the runway. From selfies at the Eiffel Tower to grotty hotel balcony views – see the model documenting her adventures in Paris on her Instagram. Austrian model Stella Lucia (Viva Model Management) is a rising star and favourite of Riccardo Tisci. As well as starring in two Givenchy campaigns, Lucia has stormed the runway for the fashion powerhouse, as well as walking for the likes of Chanel, McQueen, Fendi and Versace. Landing one of three covers created for AnOther Magazine’s McQueen issue, an accolade she shared with Rihanna and Léa Seydoux. Seeing off fashion week with a cigarette backstage at McQueen. Scouted age 12, Florida native Willow Hand has been waiting to make her way down the catwalk. 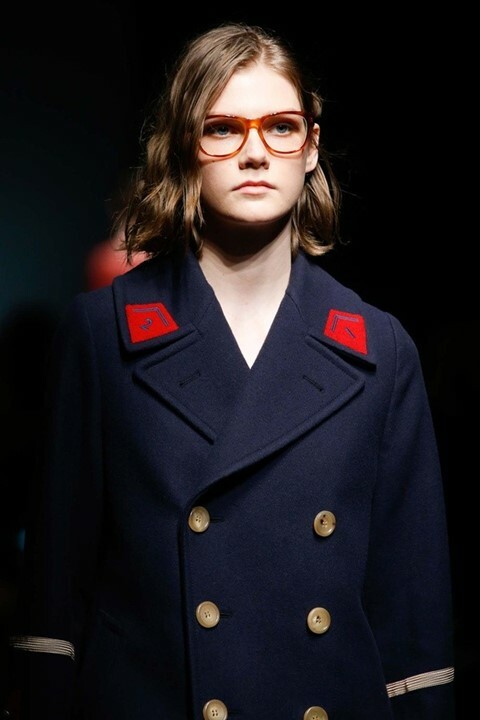 With a contract with top New York agency The Lions, the angelic model seems to have found fans in Miuccia Prada and casting director Ashley Brokaw, who helped get her on the runway for Prada. Stepping out in an acid-green neoprene suit, opening Prada AW15. Hanging out backstage for a special Miu Miu presentation in Japan. The face of See by Chloé’s SS15 campaign, 18-year-old Annika – who hails from the Netherlands – has become a catwalk sensation this season, featuring in DVF, Burberry, Stella McCartney and Dior, to name a few. Closing Alexander Wang’s Balenciaga show in NYC (shout-out to the show’s casting director, Anita Bitton). Accidentally discovering she was in Vogue. 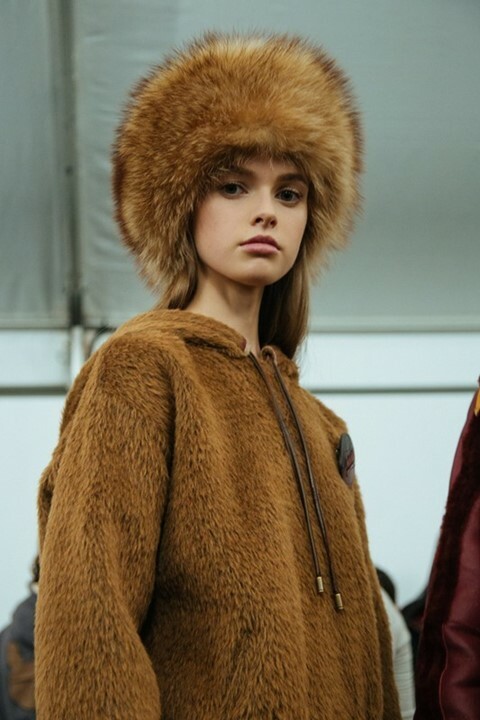 Represented by The Lions, the model was scouted on the streets of Paris, her hometown. This season saw her cement her credentials as one of the best new faces out there – she walked for Miu Miu, Alexander McQueen, Dior and Valentino. Securing an exclusive at Prada SS15, walking out among purple sand dunes. Posing with Naomi Campbell and Pat McGrath in Instagram snaps. Discovered on social media in Russia by her mother agency, Liza Ostanina (Next) was subseqently scouted on a Japanese blog by the casting director of Prada. She has since been seen at Givenchy AW15, and on the runways for Alexander McQueen and Lanvin. Debuting on the Prada AW15 men’s catwalk and closing Dior Haute Couture SS15. A quick stalk through her Instagram demonstrates the model’s wit – that is, if you understand her native tounge. 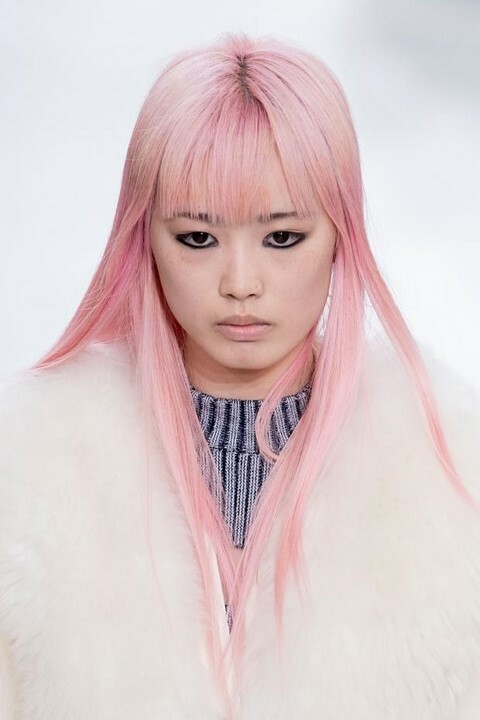 Scouted in an Australian shopping centre by Priscilla's Model Management (Sydney) in 2013, Ly began experimenting with hair dye when she was just 15 – her locks have been variations of lavender, silver and blue – but it was the 18-year-old’s cotton-candy hair which caught the industry’s attention. Stealing the show at Louis Vuitton when she stepped out sporting her trademark ’do – challenging assumptions about the house’s girl. Kawaii queen Fernanda fills her Instagram with her love of mirror selfies, and her pastel hair is the subject of attention wherever she is in the world. Hailing from Luanda, Angola, newcomer Estevao scored a runner-up position in the Elite Model Look Angola competition in 2013 at the age of 14. Now represented by The Society, she has racked up shows for the likes of Prada, Burberry, Balenciaga and J.W.Anderson. Debuting for Alexander Wang this season. Instagramming casual selfies with Karl Lagerfeld. Rare for an industry where many models begin their careers in their teens, Bhumika Arora signed a contract with Elite aged 27 when studying for an MBA in Chandigarh, India after her picture was spotted by a photographer in a local newspaper. Since her first catwalk show in February 2014 for Dries Van Noten, the model has walked for Balmain, Pucci, Viktor & Rolf and Gareth Pugh – breaking a glass ceiling for south Asian women, so rarely spotted on the runway. Being invited by Olivier Rousteing, one of fashion’s most prominent champions of diversity, to join his Balmain army. Spotted by a streetstyle photographer rushing to the next show in NYC. Fresh-faced 16-year-old Avery Blanchard (IMG Models) has come a long way since her North Carolina beauty pageant days – the 5'10" model has stormed the catwalk for the likes of Christopher Kane, Prada, Fendi, Jil Sander and Tommy Hilfiger. Making her mark as one of this season’s leather-clad girls at Coach. Taking a bite out of a Chanel clutch backstage at Karl’s AW15 brasserie. Scouted at a shopping mall by IMG Sydney age 15, Australian native Astrid Holler walked two seasons for Mercedes-Benz Fashion Week in her home country before landing her debut gig at NYFW. This season, the 6’0” model walked for the likes of Burberry Prorsum, Dries Van Noten, Chanel and ACNE. Opening Alexander Wang AW15 aged just 16. Goofing about in 60s-inspired Marni shades. 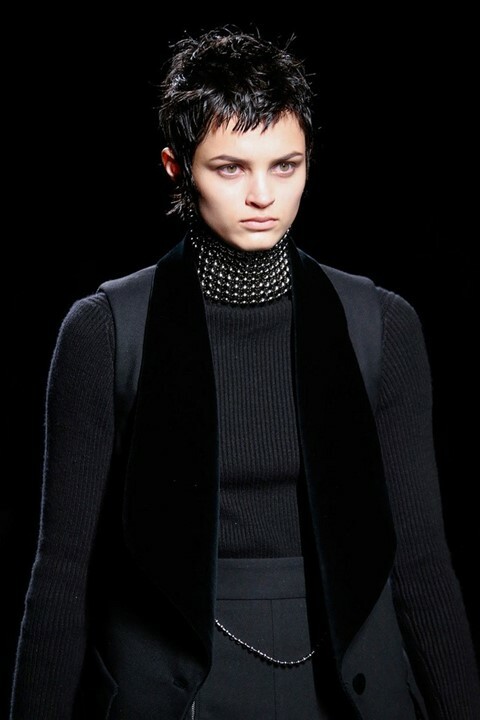 Since her debut at Alexander Wang, the 16-year-old from Kansas City – represented by DNA Models New York – has walked for the likes of Saint Laurent, Iceberg, MSGM, and Balenciaga, gaining her a spot on the Top Newcomers List on Models.com. Hitting the catwalk at Alexander Wang as one of the designer’s metal-head goth girls, complete with super short, jet-black pixie crop. Dreaming of pizza, fries and ice cream on Instagram. 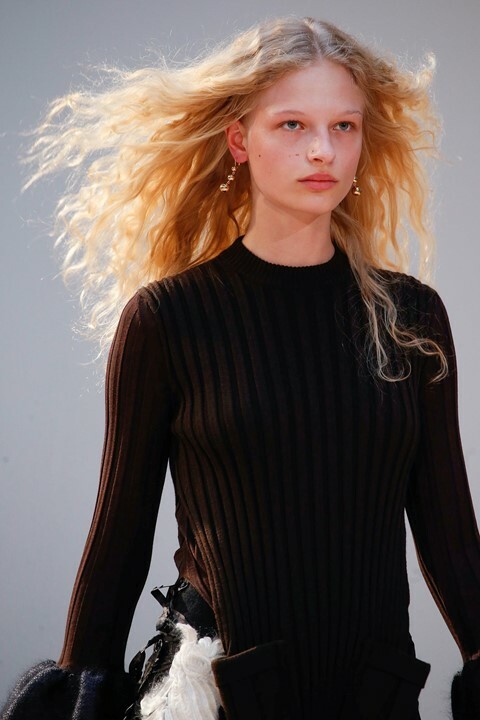 Scouted by 2pm Model Management (Copenhagen) at an event thanks to her piercing blue eyes and striking looks, Danish beauty Frederikke Sofie has walked for Christopher Kane, Peter Pilotto and Paul Smith. Opening Céline AW15 with her voluminous blonde locks trailing behind her. Not letting a Chanel outfit stop her from lighting up a cig. On vacation in London, 22-year-old NYC native Marland Backus unexpectedly found herself dragged into the agency representing the bunch of male models she was crashing with through Airbnb. She has since walked for Gucci, Altuzarra, Victoria Beckham and Rodarte. Walking in a sheer, pussybow blouse at Alessandro Michele’s official debut for Gucci. We all know beauty is pain, but a shot of the model’s feet reveals fashion-week agony at its worst.